Michaela's shop is filled with the coolest decorating items. 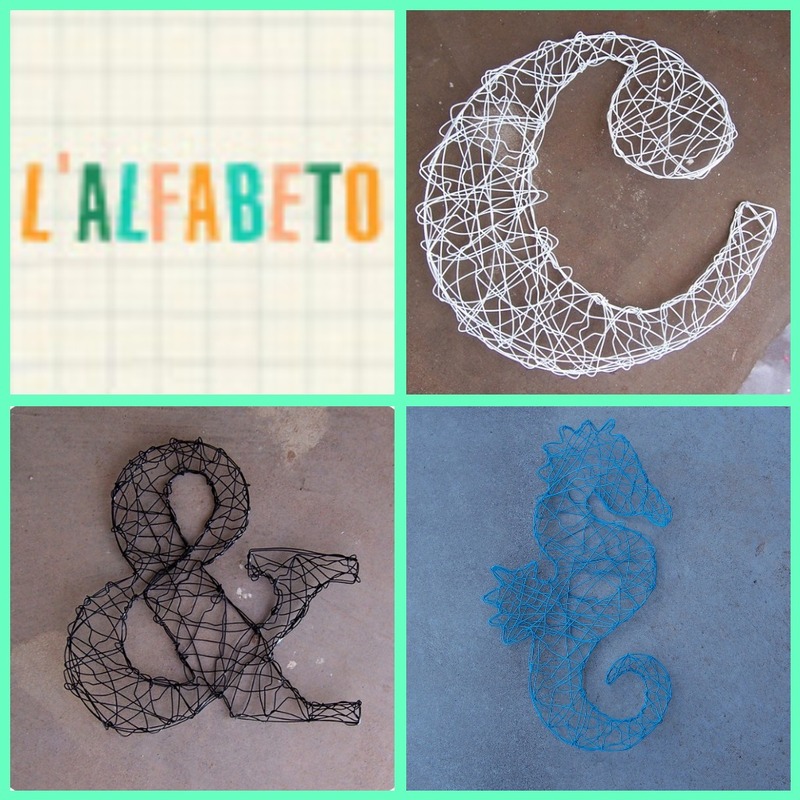 They are unique, and budget-friendly and who doesn't love supporting handmade?! Michaela is giving one lucky reader a $20 gift certificate to her shop! You have THREE chances to win. Make sure you leave a separate comment (entry) for each thing you do. 3.) Hop on over to the Angel Face Designs Facebook Page and tell me what color your toenails are painted :) If they're not painted, tell me what color you would paint them. Giveaway will go through next Monday, March 14 and the winner will be announced Tuesday, March 15. Good luck! If I won, I would get the big and small hearts !! So cute !! Ok, went over to her blog and left a comment. Her stuff is really orignal and fun ! I'd love to get an "M" for my shelf in my room. So fun! Left some love on her blog. Left you some love on FB. These are neat - never seen anything like it! I"d choose the seahorse, and I'm a follower! I love the letters to spell eat for our kitchen! Thanks! Left so love on M's blog. Thanks! Left some love on your facebook page. Thanks! So creative! I would get the letter "G" (last name is Golding) to hang by some family pictures. Left some love on Life with the Crazies! I'd get a letter C for our new house! I would love to get a M and Z for my girl's bedroom! What a cute shop! I think I would get the letter "G" for my last name,... or "J" for my son's bedroom. 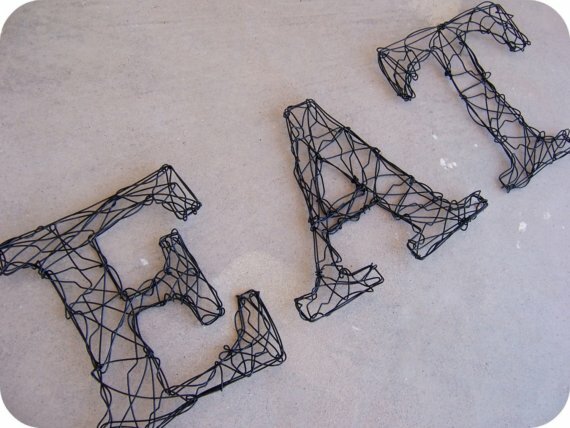 I would totally get the 16" Wire Monograpm-letter for Noah's room. 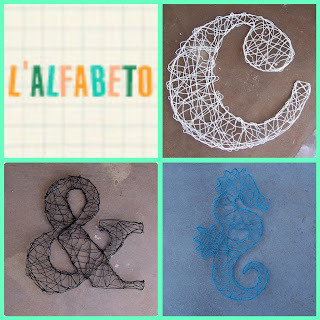 Been looking for a good funky "N"
I left some love over at Michaela's blog! Super cute!! 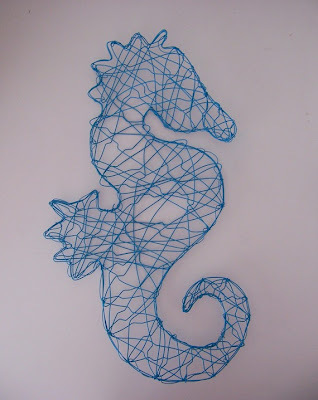 I love the seahorse!!! It would look sooo cute in my beach themes bathroom! If I won I would get My last name initial to put on our front door! I think they are uber cool! I left some love over at Michaela's blog! Posted on your FB page!